We've never really been on the whole Origami/UMPC bandwagon, but if you do happen to be on it, this deal ain't too shabby. 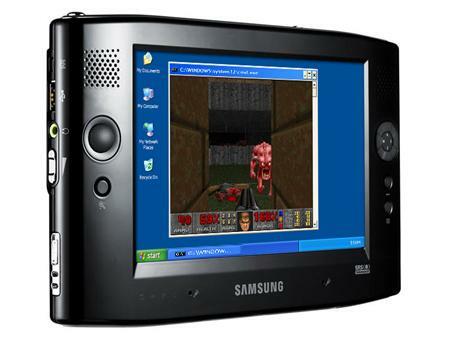 For today only Woot.com is featuring the Samsung Q1 UMPC for $750. It is refurbished, but that is just another way of saying it has received extra care. New Q1 models retail for well over $1,100. For a quick refresher, the Q1 is a UMPC with a 900MHz Celeron Mobile process, 512MB of ram, 40GB hard drive, Wi-Fi, Bluetooth and a 7-inch touchscreen. Check out all of our coverage of the Q1 here.